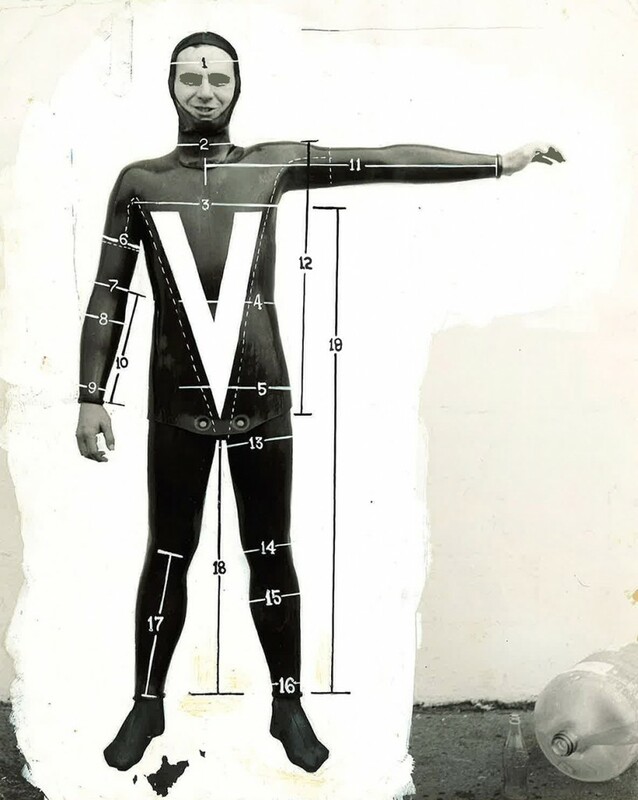 Top: Body Glove’s first wetsuit size chart used this photographic diagram. Image courtesy of Body Glove. 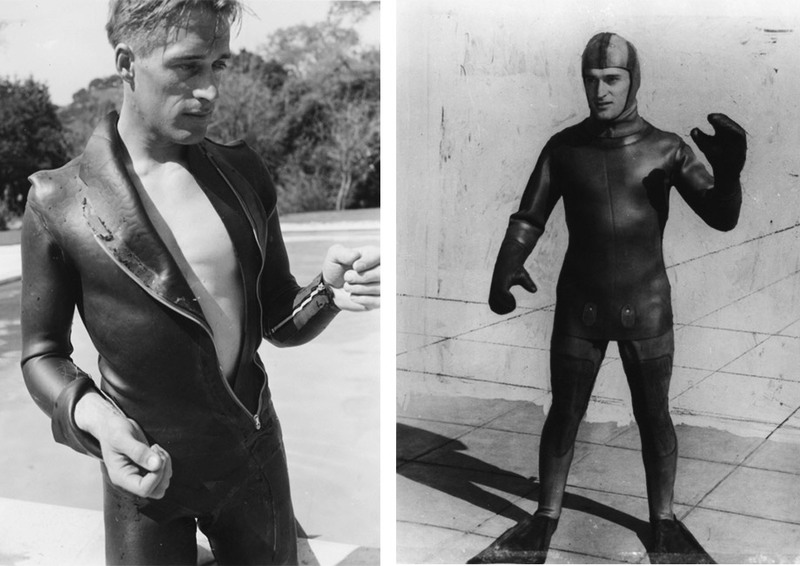 Above: Diver John Foster wears two of Bradner’s early neoprene wetsuit prototypes, circa 1952. Images courtesy of Scripps Institution of Oceanography Archives, UC San Diego Library. 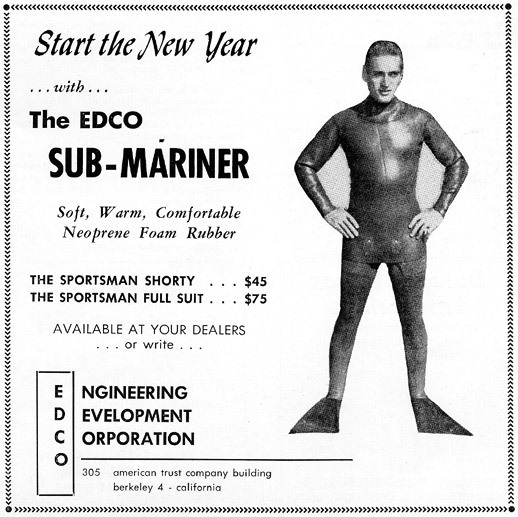 An early 1950s ad for EDCO’s sub-mariner wetsuit. 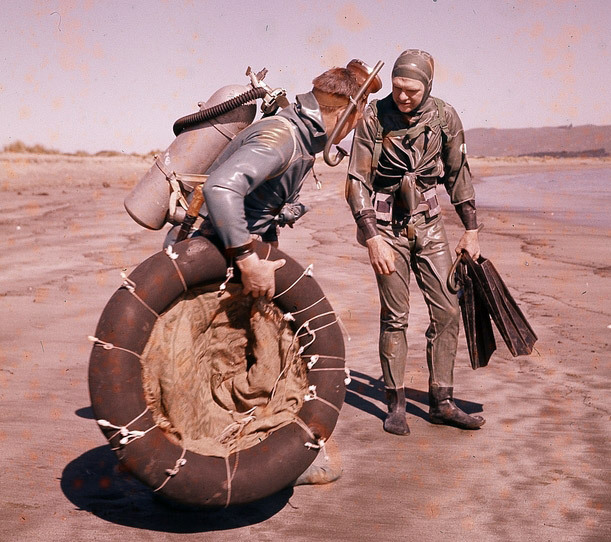 Two divers wear frogmen-style drysuits, like those worn by O’Neill during his early surfing days. Image courtesy of Scripps Institution of Oceanography Archives, UC San Diego Library. 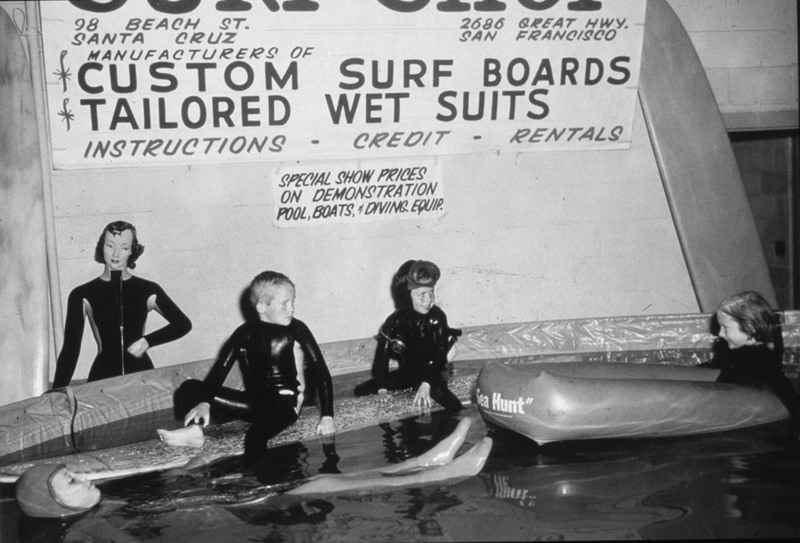 Jack O’Neill’s kids floated around in their custom wetsuits at a 1956 trade show in San Francisco. 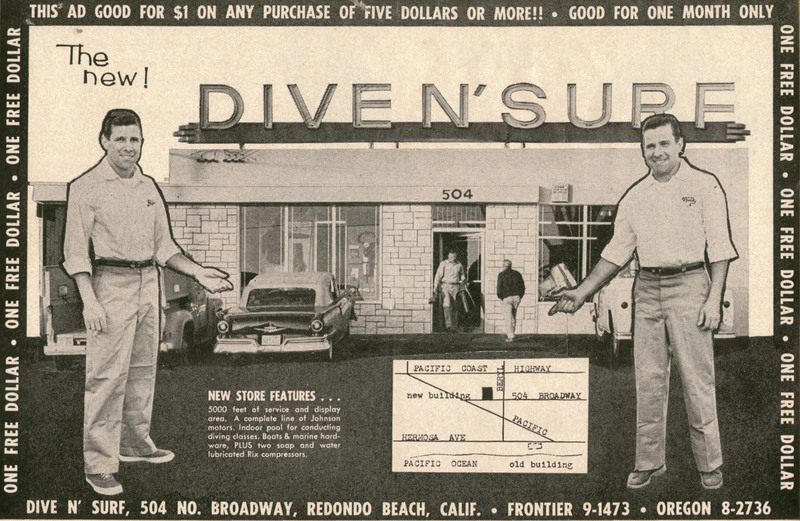 Bill and Bob Meistrell pose in a mid-1950s ad for Dive N’ Surf. O’Neill and another surfer demonstrate the immense benefit of wetsuits by leisurely reading the paper at sea. 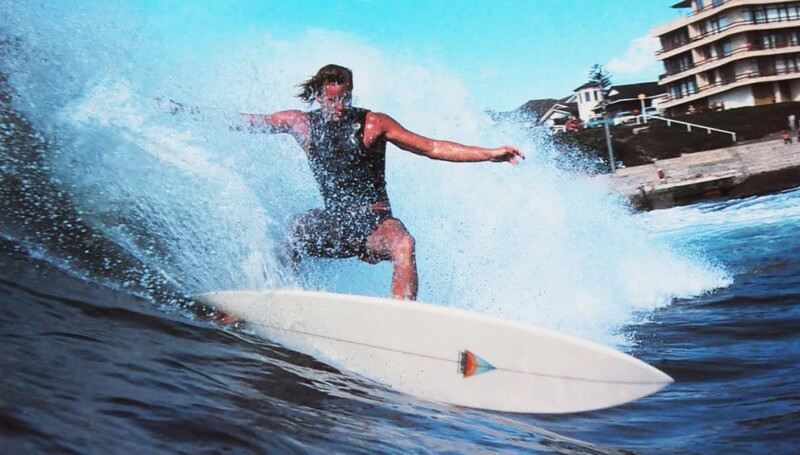 Australian surfer Simon Anderson wearing a cropped wetsuit during the 1980s. Great photo of Mike Purpus, Robert August, Rich Chew, and Rick Irons in the Cossack. The colour version is better though! wow ~ that color version is so psychedelic Vetraio! love it. You forgot the mention the wool wetsuit attempted in the late 30s and early 40s. big enough to keep me from passing a physical and going to Vietnam! Aloha, Bob. Nice article and very informative. However, you really should have noted that everyone who wears a modern wetsuit owes their gratitude to the Catholic priest at the University of Notre Dame who created Neoprene. Without him, none of you guys in California would be surfing much. As a post script to the Body Glove story Bob Miestrell died Sunday June 16 2013 of a massive heart attack on his boat off Catalina Island while helping out on the cross channel paddleboard race. He was a great guy and a waterspouts pioneer. 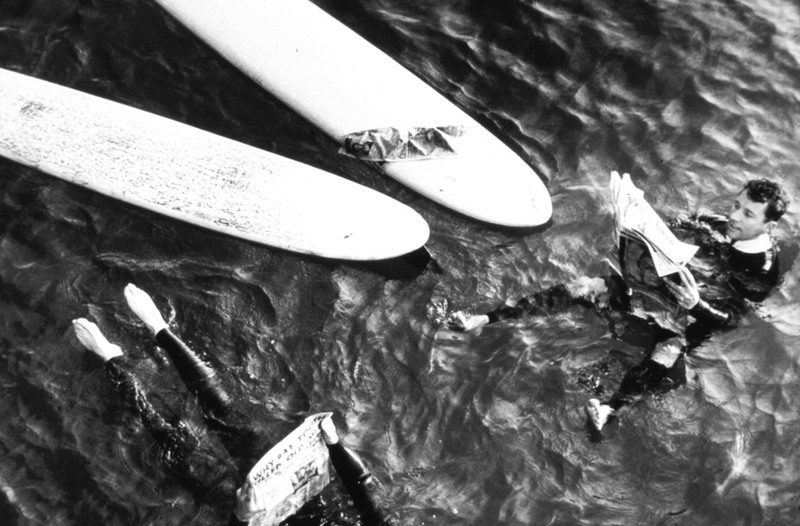 I tried to keep warm in the 1950s skin diving with a sweatshirt and USN wool swim trunks. After that I used an imperfect blue Navy surplus drysuit with longjohns underneath. 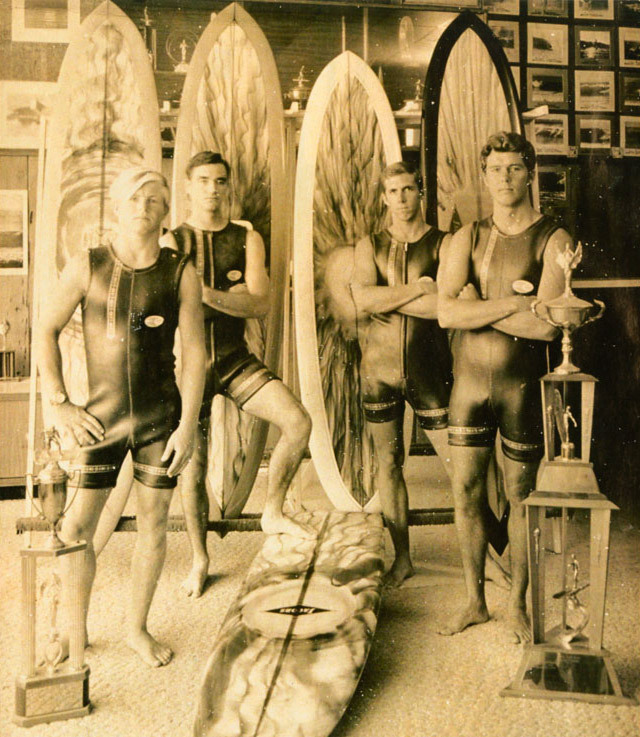 The first black Beavertail neoprene suit I had in the 1960s was much better, and ok for scuba diving, but very stiff for surfing for a long time and needed lots of cornstarch to lubricate it before pulling it over my head. 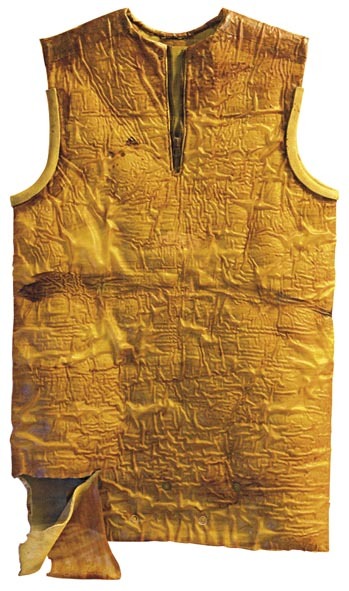 I enjoyed a thinner nylon covered neoprene suit in the 1980s, but after 500 scuba immersions I noticed some small skin growths (like a rash) the size of pimples in the areas of the most friction and have always wondered about the effect of prolonged neoprene contact on human skin. “ ” A masher knew the woman was uncomfortable, and he drew perverse pleasure in having the power to do that. Mashing was a way to put women back in ‘their places’ and police their activity, decisions, and whereabouts.